Helping an entrepreneurial team build the United States’ leading high-end retailer of prestige beauty products. In 1999, Marla Malcolm Beck and Barry Beck founded Bluemercury to improve the way consumers shop for prestige beauty products. At the time, consumers could only access these products via beauty counters at department stores or a limited number of mom and pop specialty stores. Bluemercury had implemented a highly differentiated approach within the industry called Assisted Selling. Unlike department store counters where the consumer is forced to interact with each brand’s salesperson to try the products, at Bluemercury a consumer can try any brand’s product on their own or, if they choose, interact with a Bluemercury sales assistant highly trained across all brands. Since compensation to Bluemercury in-store staff is not commission-based, Bluemercury had developed a reputation for its friendly, low pressure environment that created high levels of consumer satisfaction and repeat purchases. Bluemercury also differentiated itself by having an in-house spa in every retail store. This provided added convenience to its high-end clientele, added credibility as not just a retailer of beauty products but also a user of those same products and the ability to broaden its selection of products by including brands that were only available at spas and salons. The higher end of the beauty industry is characterized by very limited distribution of the most sought after beauty products such as Trish McEvoy and La Mer. These beauty brands are extremely careful to limit distribution, making it difficult for a new retail concept to put together the best brand selection for consumers. When we met Marla and Barry in 2006, Marla was already known as a well-respected voice in the beauty industry. Despite having only 16 stores, Bluemercury had already assembled an enviable, curated collection of sought after high-end brands. We believed as Bluemercury’s presence expanded, high-end beauty brands and consumers would increasingly look to Bluemercury for trends, advice and the right solution for their needs. Bluemercury had created a very differentiated position from other prestige beauty products retailers, such as department stores, Sephora, and Ulta, through the combination of its unique portfolio of prestige brands, its high-touch Assisted Selling model and its real estate strategy that was primarily focused on convenient neighborhood locations near where its customers lived or worked. Invus and the Becks partnered in 2006 with the strategy of growing Bluemercury from a chain almost entirely located in the Mid-Atlantic into the leading national high-end beauty retailer. From 2007 to 2014, Bluemercury increased its store count from 16 to 60 stores, while weathering the recession. The Bluemercury concept resonated strongly with consumers across the country as it expanded into new markets and maintained its strong same-store comps and unit economics. 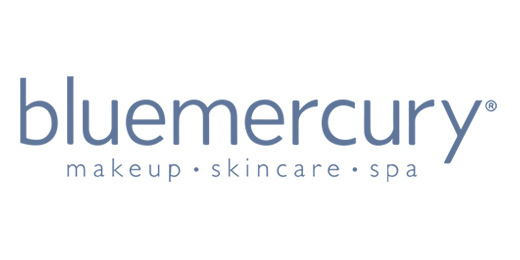 In 2012, Bluemercury leveraged the insights developed by being the leading high-end beauty product retailer into a new line of skin care products called M-61. By 2014, M-61 was the best-selling skin-care line in Bluemercury. A proprietary line of color cosmetics would follow. In 2015, Invus and the Becks decided that finding the right strategic ownership of the company was the natural next step to realize the full extent of Bluemercury’s opportunity. In March 2015, Macy’s, Inc., the owner of Macy’s and Bloomingdale’s department stores, agreed to purchase Bluemercury for twenty times EBITDA. Macy’s has a multi-pronged growth strategy for Bluemercury: 1) continuing to expand the store footprint, 2) expanding Bluemercury’s ecommerce and loyalty platform by leveraging Macy’s know-how as the 7th largest ecommerce company in the US and 3) leveraging the Bluemercury concept and proprietary brands inside select Macy’s stores. Bluemercury is maintained as a separate division with the Becks reporting directly to the CEO of Macy’s. ►Hear from Bluemercury CEO, Marla Malcolm Beck, and other owner-managers we’ve partnered with.